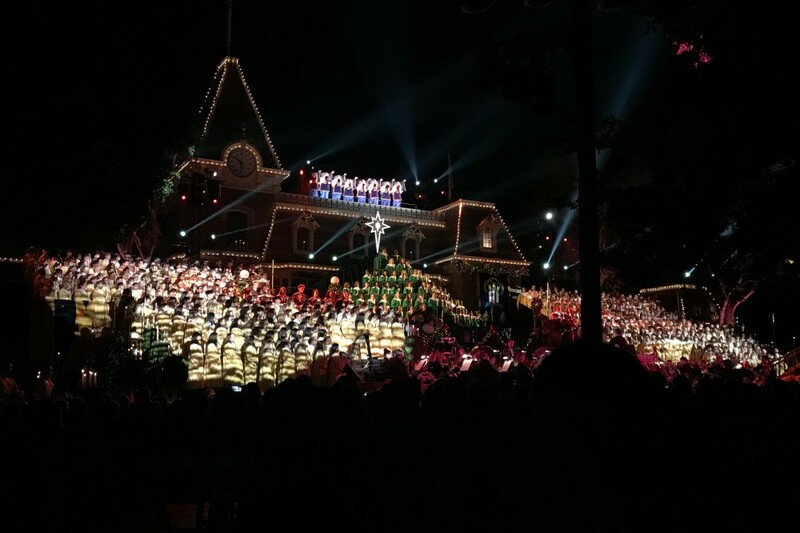 Typically, the Candlelight Processional and Ceremony narrator is one of the worst kept secrets at the Disneyland Resort each year. By about a week out, the information has leaked or the narrator has hinted about hosting it on social media. This year, however, the secret was kept and Saturday night at 5:30pm, the audience was surprised when Chris Hemsworth (Thor) took the stage. 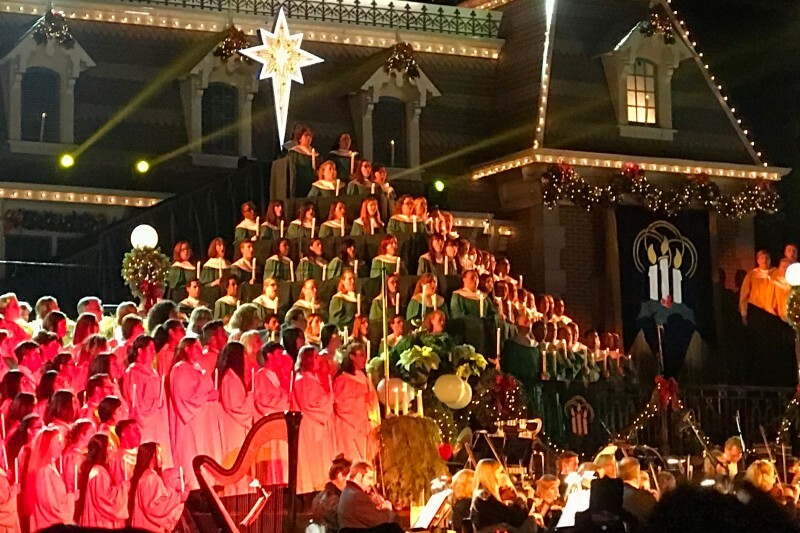 Unlike the nightly event at Walt Disney World, Candlelight at Disneyland Park is held just two nights for an invited audience. Regular Disneyland guests jostle for a glimpse of the ceremony from Town Square or along Main Street USA. 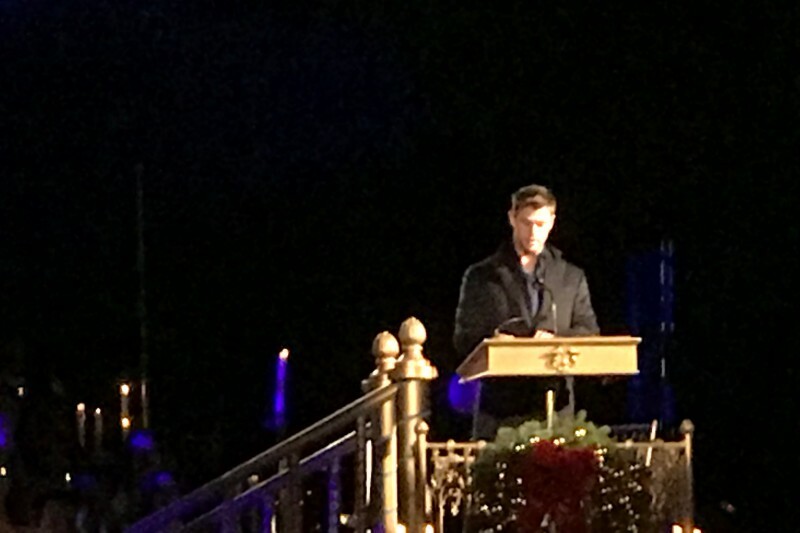 This year’s ceremony was held December 2nd and 3rd, with two shows each night all hosted by Hemsworth. 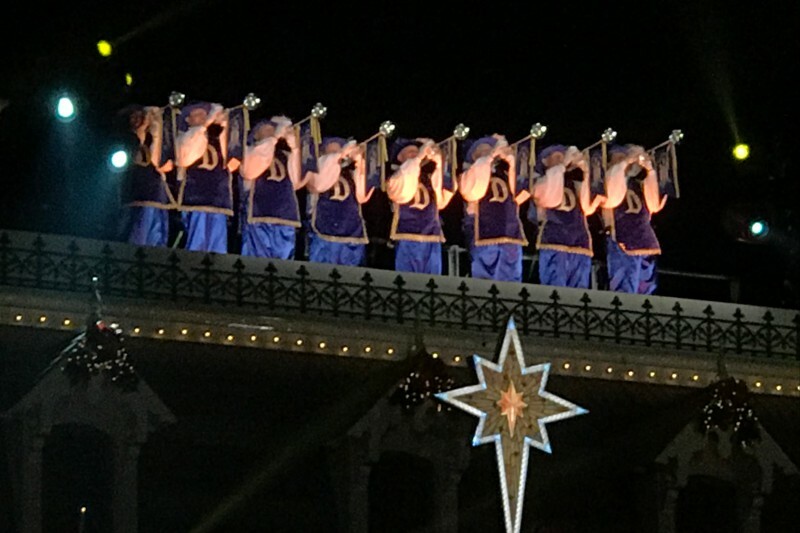 After a walk through the Park from “it’s a small world”, the 600-member choir gathers in front of the Main Street train station, where an orchestra awaits and herald trumpeters stand ready at the top of the train station. The narrator then tells the story of the first Christmas with a musical backdrop provided by the orchestra, choir, herald trumpeters, bell ringers, and soloists. Candlelight was created by Walt Disney in 1958 as a way to thank special groups and individuals for their support throughout the year.